I want to thank Yardbird for making our dinner experience a wonderful one. The food, service, and attentiveness was exceptional! 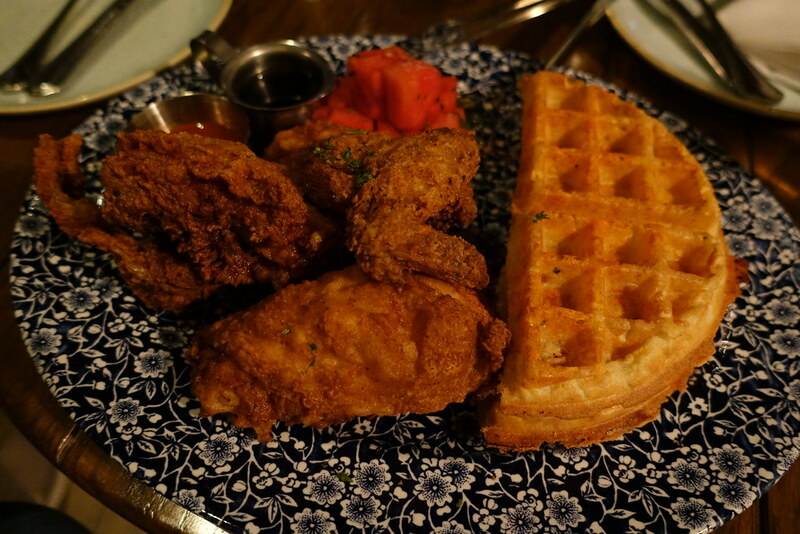 My wife and I had gone to Yardbird earlier in the week and felt the service was lacking. However, the Management team were very responsive and brought us back,.. it couldn't have gone better. I will definitely be back. Tom our server recommended excellent food options and drinks. Ralph one of their managers made us feel very valued as customers,.. thank you. Their Chicken, Burgers and Desserts are great! If you like Sweet Tea and Homemade Lemonade, then they have the best. If you like your Lemonade with Watermelon or Strawberries, they do that too. Good homemade food, great service and atmosphere! They have some of the best Southern food I've had. Great presentation, great taste. The fried chicken was very tasty, it was worth every dollar. Mac and Cheese was cheesy and tasty. I really have nothing to bad to say about any of my experience. It's safe to say it was one of the best all around restaurants I've ever been to. You should really give this place a shot if you enjoy Southern style food. Terrific! I went here 3 days in a row during our conference. I had 3 different meals -- the chicken sandwich & fries ($16), then the blue plate special with 1/4 chicken, biscuit, & spicy mint watermelon ($15), then the 1/2 chicken, waffle, & spicy mint watermelon ($36). All were solid, but the best option is definitely the blue plate special. The sandwich, with its honey glaze, was good, but it couldn't compete with the on-the-bone options. Still, the fries & other sides were better than the really mint-forward watermelon that comes with the bone-in options (& I typically love watermelon). All said, the waffle & 1/2 chicken was quite overpriced. If you were still wanting lots of food, you could get 2 blue plate specials and still save $6 (while probably getting 2 thighs + 2 breasts in the process, instead of settling for the wing & drumstick), and I think I liked the biscuit with their apple butter just as much as the waffle. First time at Yardbird in Miami, EXCELLENT FOOD!!! GREAT SERVICE!!! Can't wait to return to Miami , this will be my first stop. Our waiter Dominic was very helpful and informative of everything on the menu. We wanted to order everything. My sister and I and her family was very satisfied and well pleased. Great food and I was finally able to find a place serving sweet tea in Las Vegas. We started out with the cornbread, which had great flavor from the bacon and jalapeno, but could have been a little more moist (that was solved by spreading more butter on it). Overall a great cornbread. I also had the mac & cheese, which was only slightly above average, but nothing wrong with that. Slightly edging out the cornbread for the most tasty part of the meal was the brisket biscuits. They had tender brisket with a great sauce. The service was also on point, keeping my sweet tea full (which is a difficult task). If you have any inclination for southern style food, I can't recommend this restaurant enough.